Widely known for long term use, these robe hook double are perfect for suspending two robes in a time. 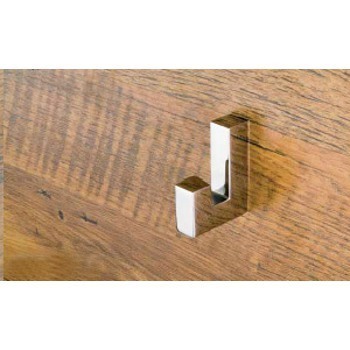 Long lasting brass of these robe hook double is adroitly polished & lacquered and makes them ideal for hotels as well as abodes. Enriched with an industrial experience of 15 years, we have acquired eminent name as one of the manufacturer, exporter and supplier engaged in offering Hardware products and Bathroom Accessories. Our range is widely demanded in the market for their features such as superior quality, durability, optimal performance and corrosion resistance. Our product range includes Towel Rail, Soap Dish, Toilet Paper Holder, Robe Hook, Knobs & Pulls, Cabinet Knobs, Stainless Steel Cabinet Knobs, Stainless Steel Cabinet Pulls, Cabinet Pulls, Entry Door Handles off Set C Handle, Round Door Handle, Square Door Handle and D Shape Handle. We are looking for Export Queries. Advanced and modern techniques of production are used by us in order to enhance the capacity of our production. Backed by latest technology infrastructural facilities, we have been to serve the customers in prominent manner. We also offer custom made solutions as per the specifications provided by the customers. The designing team associated with us understands the specific requirements of our valued clients translating them into production drawing.